Earlier this year, a man named Jack Weldon Patrick passed away in Menomonee Falls, Wisconsin. A long-time lawyer, Patrick was remembered as a family man, an advocate for social justice, and a respected community leader. One day a check arrived by mail for the Thurgood Marshall College Fund (TMCF) in memory of Jack Weldon Patrick. A few days later, another one arrived, and a few weeks later, another check. Individual donations kept coming to support the work of TMCF and our publicly-supported Historically Black Colleges and Universities (HBCUs) in honor of Jack. His obituary read, “in lieu of flowers the family suggests memorial donations in Jack’s name to causes he cared deeply about.” One of those causes was TMCF. While philanthropic anonymity is honorable, philanthropic leadership helps organizations like TMCF reach new supporters, encouraging new donor circles to give. Showcasing the faces and stories of those who give is an important tool in cultivating similar donors, encouraging a culture of giving around our campuses. This is a critical strategy that grows an organization’s base of support every year. For non-profit organizations, individual giving is the largest type of charitable gift – four times the amount as the next largest category in 2015, according to Giving USA. Organizations like TMCF thrive due to the generosity of individuals who believe in our work and want to expand our impact, through monthly and annual donations, as well as the legacy gift. TMCF combines these individuals’ gifts with foundation grants and partnerships with major corporations and government agencies to provide the funds that allow us to transform lives. It takes a philanthropic village to develop young minds, and we are humbled to be good stewards of the resources that our donors and partners entrust to us. TMCF, its 47 member-schools and the nearly 300,000 students attending them each year, want to play a role in redefining HBCU philanthropy and support. The data on finances and the number of degrees we produce in areas like STEM, education, social sciences and criminal justice already show just how productive HBCUs continue to be in graduating Black students. Seventy percent of our publicly-supported HBCUs attendees who are first-year, first-time college students are eligible for Pell Grants. In comparison, the national average is only 37 percent for all public schools. By providing this quality education, students transform their lives and prepare to enter economically sustainable careers. Now TMCF wants to illustrate that same culture within our giving networks. Anyone believing in the power of education to transform lives should invest in HBCUs. This includes alumni who want to have a tangible way to support their schools. All people in our networks at work, at church, in our communities, fraternities and sororities, and other circles of activity are worthy of soliciting for support. Age, earnings and personality are not elements for disqualifying those who might be willing to give, or those who have the capacity to do so. TMCF member-schools like North Carolina Central University are experiencing record gains in gifts secured from younger donors. Texas Southern University recently raised more than $1M at its annual Maroon and Gray gala, an event which just in its second year which has cultivated new supporters for the university and has raised nearly $2M for student scholarships and institutional support. So today, we honor one man—Jack Weldon Patrick—and his commitment to HBCUs, and we thank his friends and family for their continued investment in the work of TMCF. 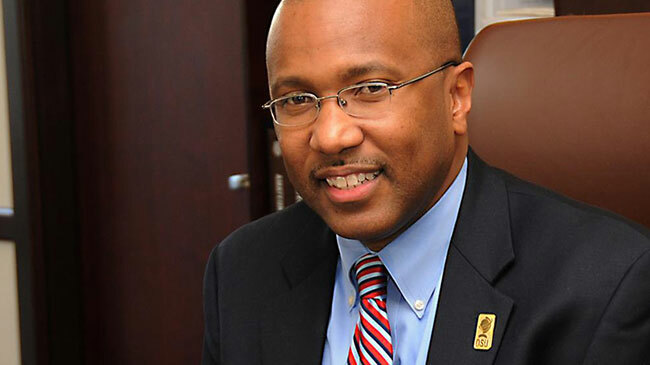 We hope his example encourages others to consider impacting people’s lives by supporting our nation’s HBCUs.